(TibetanReview.net, Mar24, 2017) – Tibet’s exiled spiritual leader, the Dalai Lama, is to attend a series of public events in Guwahati, capital of India’s Assam state, from Apr 1to 3 before heading for the neighbouring state of Arunachal Pradesh which borders his Chinese ruled homeland. India has refused to stop the Dalai Lama from visiting Arunachal, despite warnings of adverse effect on bilateral relations. China calls Arunachal southern Tibet in an extension of its claim over the Himalayan territory that was once ruled by a succession of Dalai Lama reincarnates since 1642 AD. In Guwahati, the Dalai Lama will attend a number of programmes, including giving public-talks and interactions, and will launch ‘Mor Desh Aru Mur Manuh, an Assamese translation of his autobiography ‘My Land and My People’, reported merinews.com Mar 22. The autobiography release function will take place at IIT, Guwahati, on Apr 2. The report said that at the same venue the Dalai Lama will deliver a public talk and participate in an interactive session in a programme jointly organised by Lawyer’s Book Stall and IIT Guwahati. Lawyer’s Book Stall, which has published the book, is celebrating its 75th year of inception. Before that, on Apr 1, the Dalai Lama will give a public talk on A Human Approach to World Peace at the ITA Center for Performing Arts as part of the Concluding Program of the Platinum Jubilee Celebrations of The Assam Tribune. A group called Patriotic People’s Front Assam has welcomed the Tibetan spiritual leader’s visit to the city and expresses hope that it would strengthen the pre-historical bond between the people of Tibet and northeast India, reported lankaweb.com Mar 22. From Apr 5 to 12, the Dalai Lama will give a series of religious teachings in Tawang (Apr 5 to 7), Dirang (Apr 10), Bomdila, (Apr 11) and Arunachal’s capital Itanagar (Arp 12). The venues will be Yiga Choezin, Thupsung Dhargyeling Monastery, the Buddha Park, and Thupten Gatsal Ling, respectively. Meanwhile, responding to China’s criticisms, Indian National Congress leader and former Diplomat Mr Shashi Tharoor has made it clear that the Dalai Lama’s visit was religious, not political, and it was India’s privilege to allow the visit. “China’s stand is irrelevant, if we want to invite a major Buddhist leader to a conference, then it’s our privilege. 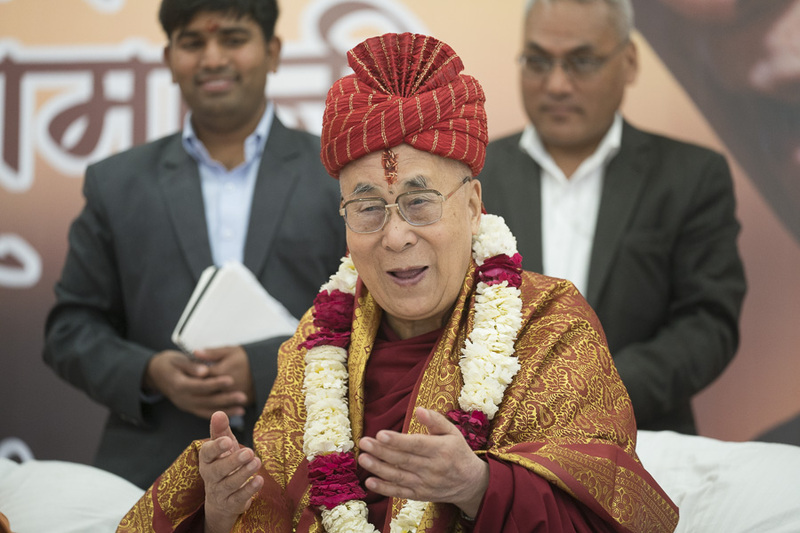 We are not recognising the Dalai Lama as a political leader, but we do recognise him as a spiritual leader,” financialexpress.com Mar 22 quoted Tharoor as saying. The Dalai Lama himself has said Mar 21 that it was only the Chinese hardliners who considered him a troublemaker whereas the general Chinese public was very positive about him.